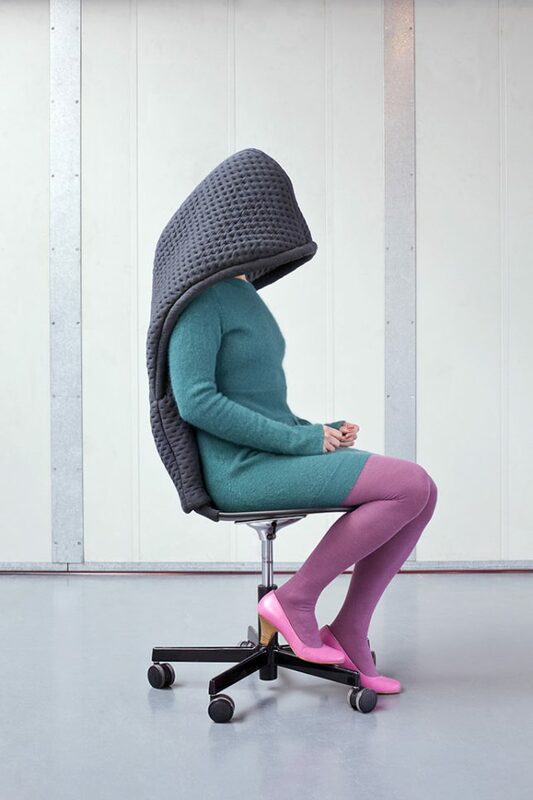 Nothing says ‘don’t talk to me’ like a soundproof helmet, a cocoon-shaped desk or a chair that basically swallows you when you want to disappear. 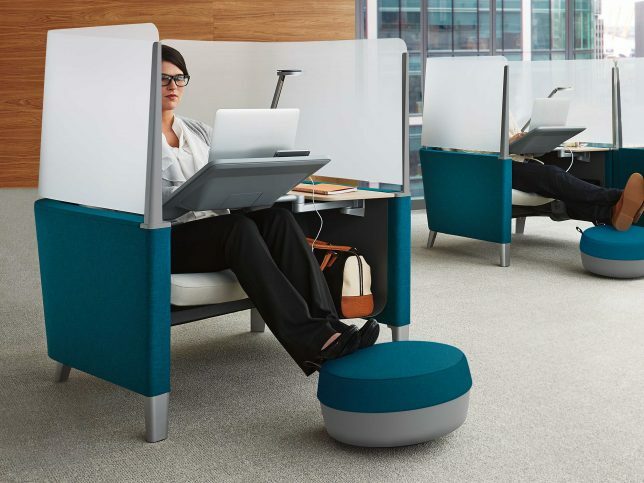 Designed for introverts and people who just want some dang peace and quiet in a noisy open-plan office, these furniture designs and wearables offer hiding places for the busiest and least private of environments, like airplanes, coffee shops, hostels and even city sidewalks. 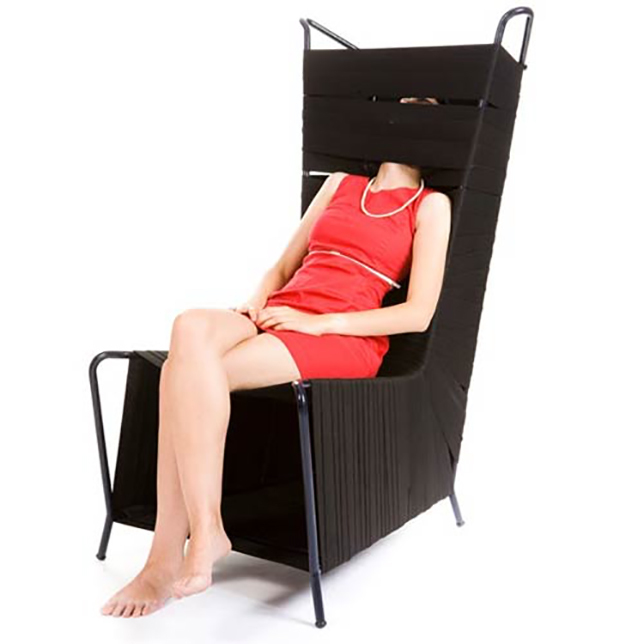 Can you find privacy within existing furniture? 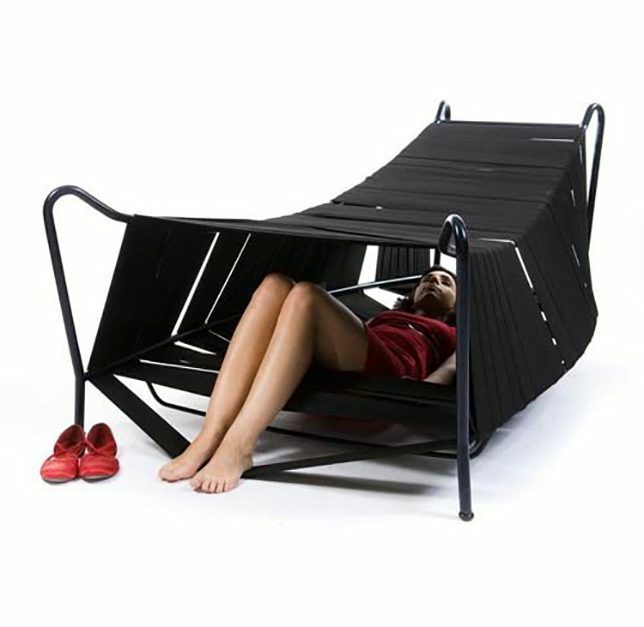 Designer Noga Berman has come up with a way to incorporate ‘hiding places’ into relatively ordinary-looking functional furniture pieces, including a chair and a sofa. Wrapping elastic bands around the frames creates ‘tunnels’ within the furniture that you can hide part or all of your body inside. This desk by workplace furniture manufacturer Steelcase feels enclosed yet open at the same time, with a design that offers some privacy and minimizes distractions without cutting you off from the entire office. It might look like tight quarters in there – and it is – but the design is intended as a sort of break from your regular desk, for periods of time when intense focus is required. Worried about privacy while traveling, or stuck in a dorm room with several roommates? 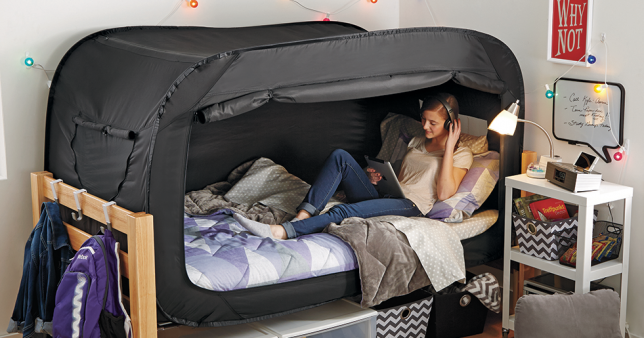 The ‘Privacy Pop’ bed tent may not offer much in the looks department, but it’s highly practical, offering a room-with-a-room that sets up in minutes and blocks out light. ‘Chair Wear’ is a series of textile chair add-ons by Bernotat & Co that bring a little extra functionality, like pockets, without requiring an additional piece of furniture. 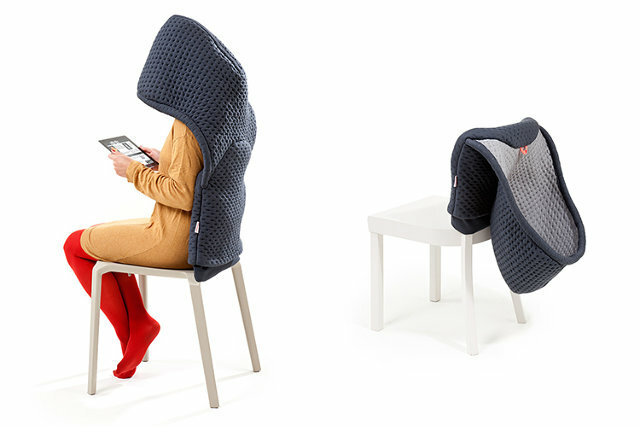 The ‘Hoodini’ has an oversized hood that you can put over your head while reading or talking on the phone.